For all of its apparent simplicity—a few chords, twelve bars, and a supposedly straightforward American character—blues music is a complex phenomenon with cultural significance that has varied greatly across different historical contexts. One Sound, Two Worlds examines the development of the blues in East and West Germany, demonstrating the multiple ways social and political conditions can shape the meaning of music. 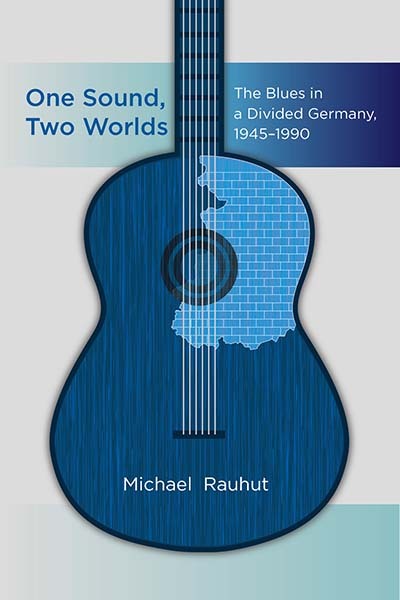 Based on new archival research and conversations with key figures, this comparative study provides a cultural, historical, and musicological account of the blues and the impact of the genre not only in the two Germanys, but also in debates about the history of globalization. Michael Rauhut is a music scholar, radio journalist, filmmaker and founding member of the Center for Popular Music Research at Humboldt University in Berlin. Since 2008, he has held a Professorship of Popular Music at the University of Agder in Kristiansand, Norway.